Love the image and fabulous sentiment too! Enjoy your weekend. LOL on that sentiment!!! So true and cute. Absolutely, beyond a doubt, fantastic coloring on the elephant and the balloons! Looks real! Cute, cute card! Very cute! Love your adorable elephant with the balloons; you colored them beautifully! Thanks for joining us over at Perfectly Rustics. Fabulous, fun card Great job on those balloons. Like your transparent looking balloons and that very cute elephant! Great little card! 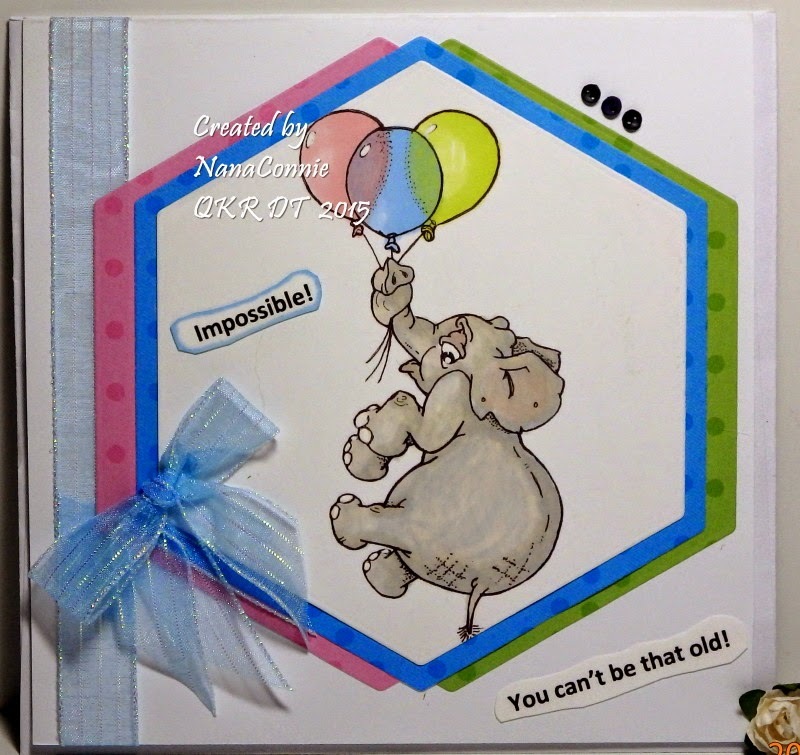 I love the cute elephant & you've coloured him up beautifully, especially the balloons! Another fun and great card, love the sentiment too. Great card! 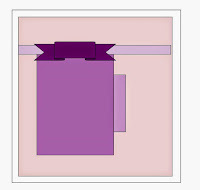 That ribbon is neat. Thanks for joining us at Melonheadz Friends. Love the different shape you have used and who doesn't love an elephant holding balloons? Thanks for joining us at Perfectly Rustics. Wow! It is wonderful card! I love this image and i love the sentiment you used! Thank you very much for sharing your work with us at 613 Avenue Create this week and hope to see you again soon! Funny. Love the sentiments and your coloring. Thanks for joining us at Melonheadz Friends. Terrific card. Thanks for playing at Loves Rubberstamps. LOL!! This is adorable with that elephant floating away with the balloons!! :) Fabulous make my friend! Super cute image! Thanks for playing at Loves Rubberstamps! The cute ellie is definitely displaying perseverence with those balloons. Thank you for entering our challenge over at Path of Positivity. Good luck.